In Eastern Europe there is a specific way in which the class relations and social transformations which have moulded US politics get lost in a glazed landscape of critical opacity. Within the region’s public sphere, underpinned by its “civil society” ethos, the protests, police violence and urban inequalities characterizing the US in the last decades are usually swept under the blanket with a clear conscience and an unwavering journalistic hand. Part of the reason is that much too often the role of the US has been framed within the post-1989 indigenous disputes between Westernizers (i.e. Occidentalist neoliberals) and “traditionalists” (i.e. populist neoliberals). Despite the endless variations in discourse and in political institutionalization, this debate has raged in almost every national context of the region. And yet, despite local eccentricities, its results have been strikingly similar: the creation of a fantasmatic actor with an overly coherent identity and an overly specific role. In the Westernizers’ language, America is the main guarantor of our Western identity, militarily and culturally. For the populists, on the contrary, it can easily gain the function of a treacherous dissolvent of the national character. It was the NATO accession process that brought the conflict between the two perspectives into the limelight only to be partially subdued by the more pressing EU integration process and its host of problems. Of course, it would be unfair to present this debate on the US as a balanced fray: the populists were almost always on the losing side, if not at the margins of the political sphere. Nevertheless, despite the indisputable hegemony (discursive and pragmatic) of the Westernizers’ camp, the conflicts did lead to some curious cases of right-wing anti-US discourse which blossomed temporarily throughout the 1990s and the 2000s, only to vaguely reappear after the Great Recession. From both perspectives, however, Westernizer or populist, the image of the US has been simplified beyond recognition between the Scylla of neoliberal internationalism and the Charybdis of neoliberal localism. After the Ukrainian conflict, in countries with a deep-rooted Russophobia, from Lithuania to Romania, even this Janus-faced image is reduced to a single facet with both populists and cosmopolitan neoliberals being fascinated by what seems to be the only missile-muscled defender of the West. Hence the fact that one can support even the most terrible US foreign policy with a straight face that runs across the political spectrum. Hence, the seamless way in which news about Abu Ghraib torture, Ferguson, US police violence or even CIA prisons in Eastern Europe, in our own backyard, disappear from the local public sphere in a puff of excited forgetfulness. Paradoxically, it is only in Romanian or in Czech newspapers that the American liberal fantasy of an US devoid of class or racial conflicts, of a US as an immaculate defender of global democracy, has found its papier-mâché reality: it is only in those newspapers there that the coherence of the US as a political project still resonates despite all reality-checks. In Donald Rumsfeld’s “New Europe”, “real America” lives a second life. These simplistic perspectives are not, however, merely the results of ideology-imbued analyses, but also of the direct manner in which the US has made itself present in the region. After 1989, the US’s presence in Eastern Europe was often carried in the classical garbs of what William Appleman Willliams called the “imperialism of idealism”: the smooth manner in which US moralistic foreign policy was intertwined with its rather pragmatic economic interests. There was not too much room for complexity in this self-presentation: in the end, the busiest US representatives in the region have been either its Chambers of Commerce or the military. Ironically, these schematic viewpoints and impoverished debates stand in contrast with the much more complex analyses that had previously marked the reflection on the United States. For a lot of interwar Eastern European observers, the discussion about America was a debate about capitalist institutions and social development, about class and economic growth: questions about factory management, Fordism, urban poverty and social reforms punctuated these debates. Interwar analysists saw the US as a strange experiment which allowed a specific reflection on capitalism and its social consequences. And despite the Manicheism and bias of the Cold War, even state socialism had a more nuanced view: from the popular press to academic discussions, America was oftentimes seen as a complex conglomerate of capitalist institutions, class and racial relations, integrated into a complex global context marked by transnational capital and militaristic enterprises. In a way, the boogie man of state socialism had at least some realistic pretensions. It might be important for the Eastern European Left to force a recovery of this analytical decency, to relaunch a more extensive debate on the US which would account for its class structure and how this has affected its foreign policy, both in economic and military terms. It is enough to think about the impact current American elections could have on the TTIP, and its subsequent influence on Eastern Europe’s production and markets, to acknowledge that US social struggles, and the way they could restructure the American political sphere, should engage us all. And no social movement has been more visible, and more powerful in doing this in the last years than #BlackLivesMatter. It is thanks to Keeanga-Yamahtta Taylor that we now have one of the few analyses that manages to contextualize this movement while at the same time underlining and emphasising its social import. 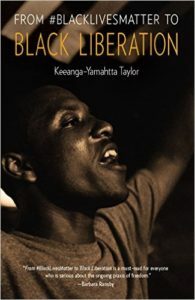 From #BlackLivesMatter to Black Liberation is both a beautiful document of political engagement, through which you can actually gauge the social and moral scandal of Black poverty and discrimination, as well as a vigilant analytical exercise. And it is probably this interlacing of various threads of analytical staunchness and social commitment which make the book such an impressive product. In what follows I will try to give a rough presentation of the book’s main structure, only to briefly bounce back to its importance for a renewed analytical project on the US. The aim of the book is a double theoretical framing. On the one hand, it tries to provide a historical perspective on a movement which has been often presented by conservative pundits as an abrupt instance of an eternal, atemporal and somewhat illegitimate black dissatisfaction. This historical detour means not just recovering the lineage between #BLM and the Civil Rights movement, but also highlighting the waves of urban unrest which punctuated the 1960s. As Taylor makes the case, public history has often been tempted to draw a stark and illegitimate contrast between the Civil Rights organizations and the 1960s radical Black activists, ranging from the Black Panthers to the urban riots of the decade. The story that Taylor tells, however, is also a story of co-option and lost opportunities. By the 1970s, 1980s, the inclusion of the black movement into US electoral politics also meant chipping away at and blunting its radical potential. Representatives of black communities felt increasingly compelled to sand off the sharp, radical edges of their discourse, offloading the socially-minded message of the 1960s black liberation discourse and its anti-capitalist critique. Socially, this also translated into the appearance of a new black middle-class, whose entrance, no matter how shy, into the economic and political elite also fuelled the idea of a sudden post-racial society: one in which the colour-line had precipitously and unexplainably vanished. Somehow, it was the Obama moment which marked the culmination of this type of discourse within which the simple non-recognition of racism served as its best solution: his election could be interpreted as the finest example of a society which had heroically managed to solve its long history of discrimination and violence. As Taylor points out, the underbelly of this type of discourse was, of course, the actual reality that most black communities had to face: the financial crisis gave a gigantic blow to black households in what was, for a lot of families, a death knell for their dream of middle class integration. A look at various economic indices sharpen the image of gaping gulf between the poverty and violence affecting black communities and the hegemonic discourse of smooth middle-class integration. Taylor’s claim is that the #BLM was largely born out of this chasm between the ideological reality of a colour-blind society and the day-to-day experience of police violence, unemployment and discrimination. There is, however, another type of analytical contextualization which frames the book. Rather than confining herself to an examination of the post-war Black Movement, no matter how nuanced, Taylor incorporates her historical narrative into the development of US capitalism after the 1970s: the industrial and urban restructurings which have marked the period, the heightening inequalities which are still with us. We are guided through what the Birmingham School would call the “policing of the crisis”: welfare institutions have slowly been replaced by an over-sized repression apparatus centred around a complex carceral system and violent urban policies. And the black population has been at the centre of this gigantic maelstrom which has washed away the small and unstable social gains won by the American working class after the New Deal. This type of contextualization is important since it permits Taylor to refuse any hasty conclusions regarding the development of the black movement, such as the relationship between black political representatives and the Afro-American population at large. In explaining the failure of black municipal administrations throughout the recent decades, Taylor is careful to point out, for instance, that in most cases the job of black politicians was confined to managing and cushioning an inevitable disaster. Due to post-1970s industrial relocation and white flight, their municipalities relied on a flimsy and constantly diminishing tax base which consigned to failure almost any reform attempt. This is an important caveat which gives nuance to the common yellow press interpretation which sees black municipalities solely as victims of a generalized corruption; a type of corruption usually personified through common-stock images of a prototypical post-Civil Rights black politician: The Wire’s Clay Davis, constantly “playing the race card” while ignoring his constituency’s needs. While extremely critical of the Black political establishment, Taylor refuses this racially charged narrative which replaces structural factors with a moralistic discourse on corruption which, as the Brazilian case shows, can be easily channelled to legitimate powerful right-wing programs. Taylor also draws, however, on an important tradition of American historiography that sees the US political field as bearing the marks of a unified consensus defined by the exceptionalist nature of the American polity. The exceptionalist infatuation functions somehow as a hegemonic language which runs across the political spectrum regardless of the overt political conflicts which may casually ripple at the surface between democrats and republicans. It means the belief in US capitalist development without social conflicts, US liberal property without its inequalities, white rule without racism. What keeps this cluster of contradictions together in a somewhat operational whole, preventing its implosion, is a specific moral discourse of meritocracy which individualizes social responsibility and obscures structural factors. Black poverty or unemployment are framed as the result of individual foibles rather than structural effects. The corruption discourse on US black municipalities further inflates this meritocratic phantasmagoria: it pushes the violent deindustrialization of the US rust belt into the background, it makes white flight invisible, and it sees the fiscal crises of various municipalities as solely the result of individual corruption or, in the best case scenario, individual faults or lack of proper qualification. One can see why the language of meritocracy is particularly fitting for the ideological marasmus of a discourse claiming that in the end, if Barack Obama did it, anyone can do it. Unfortunately, however, this moralistic language is buttressed by an entire plethora of concepts, some of them claiming academic legitimacy, such as the perennial and ever-present “culture of poverty” argument. The end result is not very much different from the US one can find in the Romanian or Czech newspapers: an image of the United States as a capitalist country without capitalist classes, or at least with one gigantic all-encompassing middle-class. A US with staggering levels of black poverty and unemployment but non-racist, nevertheless; an America in which the excluded, ignored and the downtrodden are simply victims of their own character or culture. It is true, however, that the current American election cycle has occasioned a gigantic challenge to this hegemonic discourse. Suddenly, for more and more people it makes sense to see capitalist development as intimately connected to social inequalities, while references to meritocracy and the “undeserving poor” have started to be perceived as what they actually are, an ideological stick. Suddenly, the word “socialism” is uttered once again in the political sphere and the forms of political legitimation which Taylor mentions don’t seem to work as smoothly as before. It is no wonder, then, that people are increasingly talking about an imminent restructuring of the party-system similar to tectonic shifts of 1932 or 1968. This is to a large extent the result of the myriad of small, big and excruciating efforts made by movements as different as Occupy and now #BLM. It is impossible to imagine the relative success of Bernie Sanders’ campaign without these activist enterprises which have put problems of social inequality once again into the limelight. It is thanks to all those crowds in Zuccotti Park, Oakland and Fergusson that more and more people are conscious of what has been already a daily experience among so many black Americans: that sustaining the post-1970s dream of American capitalism requires a lot of violence coated in moralistic tall tales of individual worth and merit. While it remains uncertain whether the current elections would actually cause a profound realignment, it has become obvious that the story of American exceptionalism does not flow as slickly as before nor does it ring as true as it used to. While the institutional infrastructure and the power relations which have marked the last forty years are still in place, while Hillary Clinton will actually be the next president, one can hardly flaunt the cruel neoliberal optimism which dominated the pre-Recession year. Reagan’s “It’s morning again in America” may have reached its noon and #BLM plays and will play an important role in this. In this sense, Taylor’s book also tells a story of waning ideological consensus in which, unfortunately, the powers that be have remained the same but they find it harder and harder to reinvent a story for themselves. Romanian Agriculture and its Discontents .. The Romanian “Parallel State”: T .. The Romanian Pension System Between Low .. The Romanian “Family Referendum” and ..
Romanian Soldiers and 1917: Memoirs from .. I think that there is a lot to learn from this type of analysis. First, there is a refreshing way in which the book manages to dodge and duck the oftentimes mazy discussions on “race vs class”, or identity vs class politics, with a clear straightforward attitude in which the solidarity of anti-racist and anti-capitalist struggle is taken as a natural alliance. It is the work necessary to break up that alliance that becomes an object of investigation. This is not at all an unwillingness to tackle the problem directly, some sort of conceptual naiveté, but a carefully assessed political stance whose clarity and straightforwardness are much more than welcome. This frankness derives from Taylor’s historical insight which connects the black movement to the structural transformations around it: while preserving its specific social dynamic, racism has become part and parcel of the plethora of transformations which have affected the US, the structure of its state institutions and the shape of its urban environment. Second, the book points out to what I would call nodes of social conflict: complex empirical knots which feature an interweaving set of problematics. For instance, one cannot reduce the fight against police violence to simple liberal empathy. The problem of police violence and of the carceral state is intimately connected to the restructuring of welfare institutions after the 1970s and its urban effects. Contesting them means contesting the complex set of interrelated developments in which they find their place. #BLM has managed to chip at those central pillars of what Loic Wacquant had called the minotaur state: a state in which the precipitous decline in social spending is only matched by the steep over-sizing of policing institutions. In its turn, the housing problems of so many black communities are intimately related to the centrality of the real estate market and urban development for today’s capitalism. In this way, #BLM questions basically the underpinning mechanisms which have made a lot of post-1970s capitalist developments possible. What Taylor manages to convincingly argue is not only that one cannot understand American capitalism without racism, but one cannot build a successful anti-capitalist movement without a powerful Black movement. Hence, #BLM’s gigantic progressive potential, not just for the Black community, but for the entire US working class. Third and at least as importantly, there is a need to recognize the possible alliances which can be built between the US context and Eastern Europe. 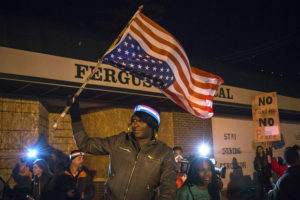 Some of the problems which have affected the black communities all over the US have taken their toll in Eastern Europe with a similar violence: from foreclosures and privatization, to the problematic inattention that housing rights receives in both contexts, the racism which has only increased during the migrant crisis. It is actually against these topical issues that a real possibility of social mobilization can be foreseen and some forms of international alliance slowly built … And it is probably the TTIP that due to its vast consequences, from Seattle to Riga, makes this coalition more necessary than ever.